Mercia Dental are proud to be partnered with Planmeca - a global leader in many fields of health care technology. Planmeca designs and manufactures a wide range of state-of-the-art dental equipment that complements each other seamlessly. The dental care units, X-rays and software solutions are manufactured using the latest technology and the products are hand-made and tailored to each customer’s specifications. World-class imaging devices for all purposes. All units support three different types of three-dimensional imaging, as well as panoramic, extraoral bitewing and cephalometric imaging. These products can meet all your imaging needs. Planmeca extraoral units offer two alternative solutions to maxillofacial imaging. Planmeca ProMax® – the complete imaging centre – sets a new benchmark in panoramic and cephalometric imaging. Planmeca ProOne® is designed with simplicity in mind. 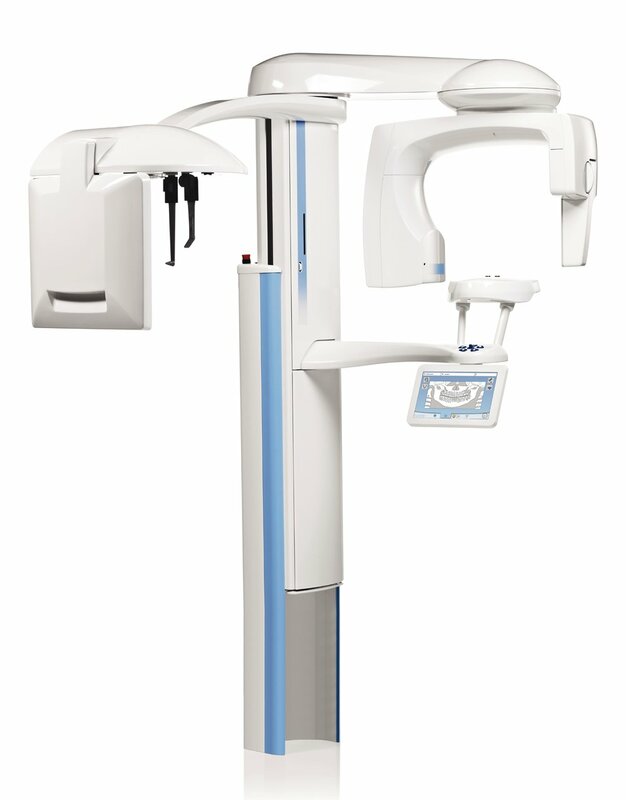 It is a compact and easy-to-use panoramic X-ray unit that’s both cost-effective and flexible. The brand new intraoral scanner Planmeca Emerald™ is a small, lightweight, and exceedingly fast scanner making the experience comfortable for both the patient and doctor. The superior accuracy of the impressions meets the most demanding imaging needs with a fully integrated colour scanning option. Taking digital impressions has never been as easy. It is the perfect tool for smooth and efficient chairside workflow. Planmeca Romexis® is the software of choice for viewing and processing 3D and 2D images from Planmeca X-ray units. Powerful enhancement and analysis tools guarantee that accurate diagnosis is available to users in all specialties, while the intuitive interface guarantees confident, comfortable use from day one. Revolutionary all-in-one software. Panmeca Romexis® is an advanced, easy-to-use software suite providing a rich set of tools to meet the imaging requirements set by any dental facility – from a small clinic to a large hospital. It supports the most versatile range of 2D and 3D imaging modalities. Planmeca offers world-class dental units that are practical, functional and beautifully designed while offering optimal comfort and uncompromised infection control for a safer treatment environment. Working closely with dental professionals to introduce new ways to ensure maximum comfort and quality treatment. All Planmeca dental units have our distinctive clean and simple design, with space for you and your assistant to work freely and comfortably. Our units are highly compact because of the side-lifting mechanism of the cuspidor block. We use aluminium parts and an epoxy paint finish for ultimate durability, with seamless, powder-coated surfaces that meet the strictest infection control requirements. All of our units have been designed with the future in mind. That’s why it’s easy to upgrade our units with the latest features and innovations in dentistry.